Under rainy skies and with much fanfare, President Benigno Aquino greeted the 115-meter cutter at Alava Wharf, near the former United States naval base. 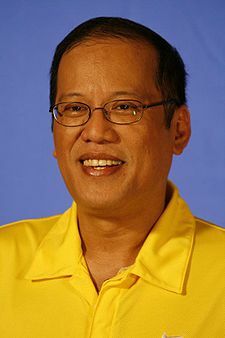 Aquino said the ship would guarantee patrolling of the country’s 370-kilometer exclusive economic zone, which borders its coastlines. The 46-year-old BRP Ramon Alcaraz is a second-hand Coast Guard cutter from the United States’ store of used military assets. It joins another used cutter that the Philippines bought from Washington in 2011. With refurbishing and retrofitting of remotely operated machine guns and other hardware, the Alcaraz cost the Philippines about $15 million. In May, Aquino announced a $1.8 billion infusion to the country’s military upgrade program, which still places it behind some of the smaller defense budgets in the region. The new hardware includes half a squadron or 12 fighter jets, two frigates and an air-surveillance radar system. Defense spokesman Peter Paul Galvez said the department wants these purchases to be completed before 2016 when Aquino’s term ends. The idea of having a minimum defensive posture to confront China in a limited way may make some sense. China does not yet seem to be in a position to wish to directly provoke retaliatory attacks from allies of the Philippines like the USA. In an all-out conflict, China would have massive military advantages over the Philippines, but hopefully that will not happen. For the sake of its international trade and other international relationships, despite some of its claims in Asia China might decide that this is not the time to pick a fight with the Philippines. Yet, ultimately after the the USA is out of the way (cf. Daniel 11:39; Revelation 13:4), I suspect that the Philippines may feel that it will need to align militarily with China. The fact that Fidel Ramos hopes for/expects more Pan-Asian cooperation within the 5 -10 years from 2011 is also of interest. This could be is consistent with some of my own prophetic understanding of these matters (though certain military cooperation may well be later than this). Any Pax Asia-Pacifica that replaces “Pax-Americana” suggests that many nations in Asia expect to have some type of confederation or other agreement with the major powers like China. For now at least, the Philippines seems to want to try to continue publicly discourage what it sees as Chinese aggression. But ultimately, the “Pax-Americana” will be gone. People in the Philippines, and elsewhere, need to realize that. CCOG.ASIA We in the Continuing Church of God also have the url www.ccog.asia which has a focus on Asia and has various articles in Mandarin Chinese as well as some in English. This entry was posted on Tuesday, August 6th, 2013 at 7:35 am	and is filed under Prophecy.